Due to recent history, the term “housing bubble” elicits an alarming response. As a real estate investor, it’s natural to worry about the possibility of another economic collapse and what that might mean for your rental portfolio. 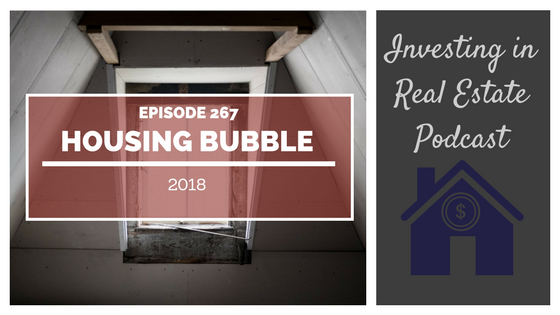 On this episode of Investing in Real Estate, I’m sharing the truth about the 2018 housing bubble. I’ll elaborate on the key indicators that point to a housing bubble, and how you can protect yourself. I’ll also share how current market conditions vary from 2008. If you’ve ever wondered about the possibility of a market crash, you won’t want to miss episode 267! "Housing bubble" is a term that gets thrown around often in the real estate sector. It's often misused and largely misunderstood. While many homeowners and investors lost their homes back in 2008, current market conditions are a completely different ball game. It's important to understand that a housing bubble is created by rising prices, which are affected by a few different factors. First, there must be a high demand for properties. The lack of supply creates a higher demand, but these market conditions differ from 2008. This This time around, conditions are much less threatening because prices aren’t being driven up by a faulty mortgage system. Secondly, rising prices are affected by speculation. Oftentimes builders will try to predict the future of the market. Take a look at what has happened in Brooklyn. This can lead to unsafe purchases because the asset worth can suddenly change. It can be extremely difficult to predict what might happen over a span of years. Lastly, you know there's a bubble when you notice society's exuberance. Do you hear other people in Starbucks talking about a bubble? Or on social media? Pay attention to what's in the news. While it's true that housing prices are on the rise, conditions are much different than what we experienced in 2008. Don’t be afraid of the bubble! People still need to rent. Why shouldn’t they rent from you? As long as you're purchasing in the right markets, your investments will be safe. 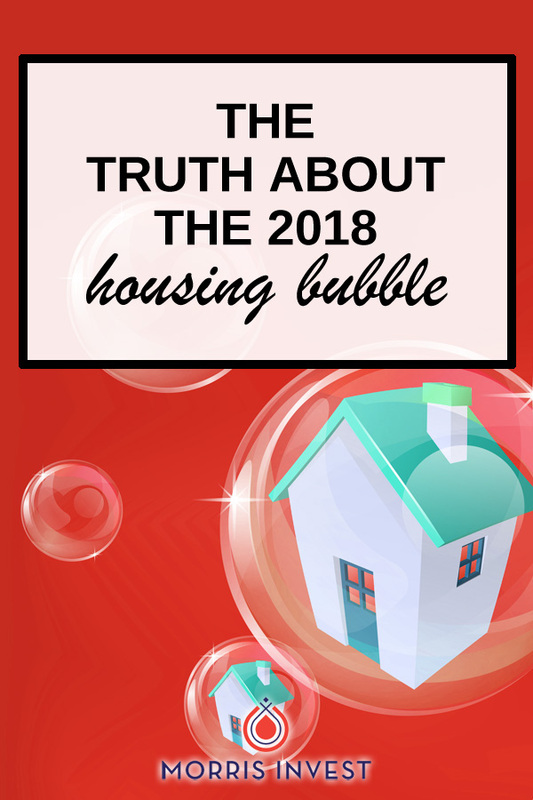 On today's show, I'll share more details about the 2018 housing bubble. I'll talk about appreciation, mortgages, and much more! Why shouldn't you purchase speculative investments? Is appreciation important for real estate investing? What are the two factors keeping the housing bubble at bay? What is predicted to happen with mortgage rates in 2018?